They have made recordings for the CBC, for several stations of the ARD in Germany and for National Public Radio. 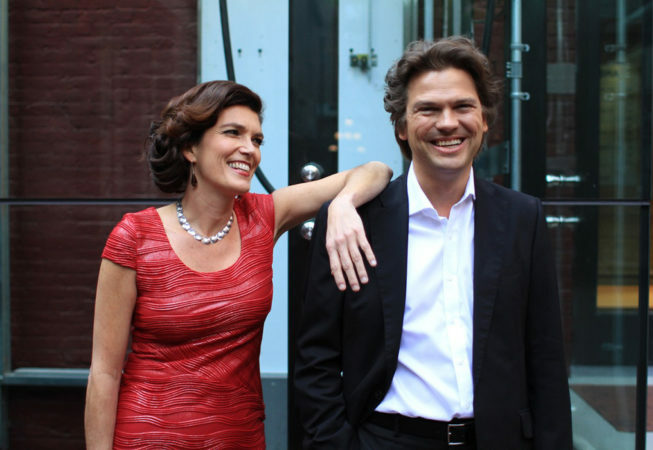 The duo has recorded several CDs, which appear on the CordAria, Arktos, Koch International Classics, Naxos, Ars and Brilliant Classics labels. Their latest releases on the Brilliant Classics label feature Marcel’s arrangement for 4 pianos of Mike Oldfield’s Tubular Bells and a collection of minimal music for multiple pianos also featuring Marcel’s compositions. Their most recent recording, American Stories on the ARS label, features exclusively Marcel’s arrangements. 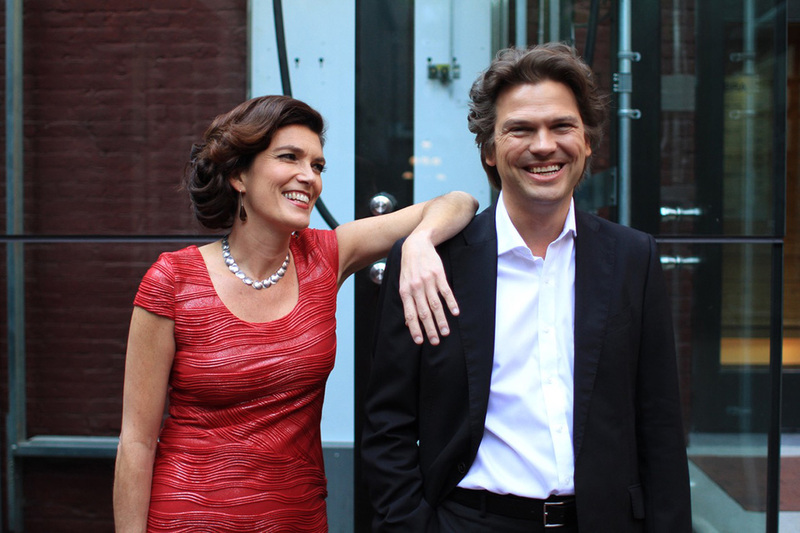 The duo studied with Arie Vardi at the Hochschule für Musik und Theater, Hannover and with Jean-Eudes Vaillancourt at the Université de Montréal. They received first prize at the International Chamber Music Competition in Caltanissetta, Italy, and were laureates of The 4th Murray Dranoff International Two Piano Competition. They performed extensively in Germany as members of the young artists’ roster of Yehudi Menuhin-Live Music Now. In addition to their performing careers they also enjoy teaching and working in other capacities in the music industry. Marcel and Elizabeth are Artistic Directors of White Rock Concerts and Elizabeth is Artistic Director of Concerts at the Langley Community Music School. Marcel has held a position as Professor of Music at Mohawk College in Hamilton and both Elizabeth and Marcel have been on faculty at Mount Royal University and University of Calgary as well as being involved in various musical projects at The Banff Centre for the Arts. In 2004/2005, they served as Artistic Directors of The Murray Dranoff International Two Piano Competition and Foundation in Miami. For many years, they were members of the Calgary based group Land’s End Chamber Ensemble, recipients of the 2005 and 2006 Western Canadian Music Awards for Outstanding Classical Recording. Committed to supporting the production of new repertoire, the duo has commissioned and premiered several works by Canadian composers. Their extensive repertoire ranges from the baroque to the contemporary and includes numerous own arrangements and compositions.